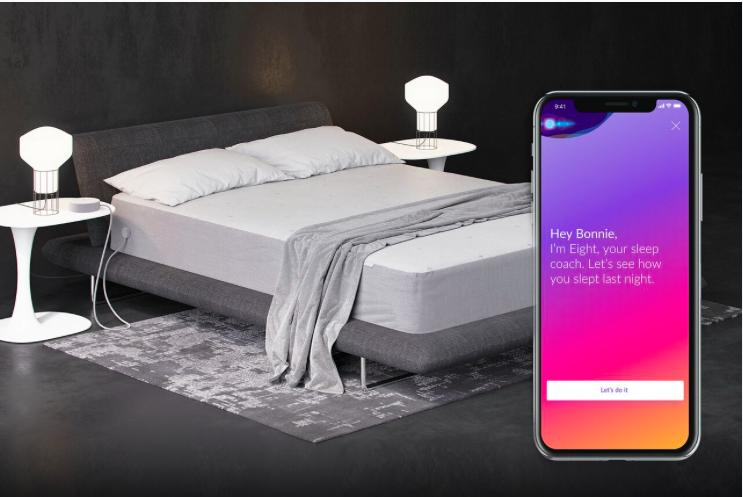 Sleep technology company Eight launched a new sleep coaching app feature for its Smart Mattress on June 20th to complement its existing tracker. The Smart Mattress by Eight is already designed to track sleep for up to two people, and the data is recorded via an app on your phone. Using health grade technology, the Smart Mattress records information such as body temperature, heart rate, sleep duration and myriad environmental elements that surround your sleep space. Many sleepers use trackers to learn more about their personal slumber habits, but according to Eight, they are often unsure about what to do with all of that information. Sleep trackers provide so much information, but users want something more insightful than just data. What people really want is someone or something that will analyze the data for them and tell them what they really need to know to get better sleep. The sleep coach adds something that’s more user friendly and much more actionable as well. More: Curious about Eight? Read our review of the Eight Sleep Saturn mattress. Eight was founded in 2014 and has since tracked millions of nights’ sleep, processed 500 terabytes of health data, and is expecting to become the largest sleep lab in the world by the end of 2018. According to the people at Eight, smart mattresses will completely replace standard mattresses within the coming decade. This advancement of sleep technology might help consumers understand and develop balanced sleep schedules, but there are some studies that warn against too much tech in the bedroom. Dolnick and Zatarain went on to say that they are “sure” that as Eight continues to grow, they will better understand how people sleep, and the new sleep coach feature will help consumers do the same. 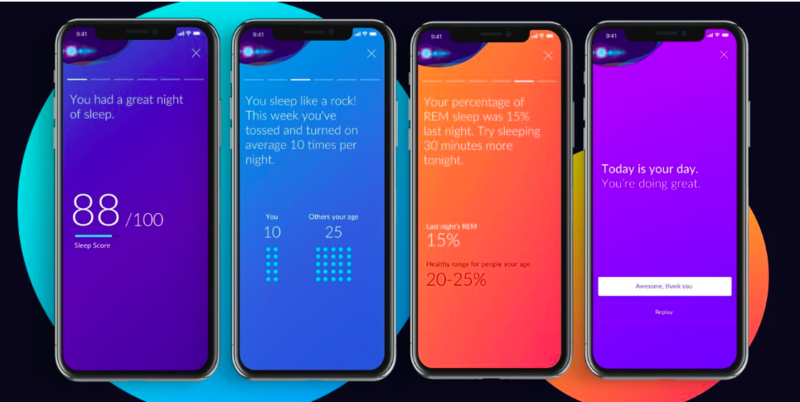 The Eight sleep coach records data and provides sleep tips, but it also lets consumers know how they sleep in comparison to others in their demographic. The coach uses location, age, gender, and other identifiers to help sleepers relate to the habits of their peers so that they can see where they rank. Eight’s sleep coach app comes with the purchase of the Smart Mattress starting at $699. All images courtesy of Eight.